What is the allure to you of a serialized story? I think the chance to tell a long story, something that moves from season to season that the kids can look forward to. I don't know if kids' podcasting is having a moment yet -- I hope so -- but the list of high quality podcasts created for kids grows by one this week with the official release of The Unexplainable Disappearance of Mars Patel, a scripted, serialized speculative fiction adventure show for middle school kids, performed by middle school kids. It's the kind of well-produced podcast that demonstrates that people are seeing a large audience that's hungry for more audio entertainment and deciding to invest a lot of time into serving that audience. Are your kids ready to move on The Alien Adventures of Finn Caspian or are they looking for something slightly more "real" than The Radio Adventures of Eleanor Amplified? Then this is what they'd graduate to. It's also a really good yarn. I encourage you to subscribe to the show (here's the iTunes link) and give the first episode a spin while you wait for the season to officially start, but in the meantime, you find out more about the show and its Blobfish Radio creators by reading the interview below with Chris Tarry, one of the show's producers and creators. Zooglobble: You wear a lot of different hats -- how did you find your radio/audio production hat? Chris Tarry: I’ve been a professional musician going on about thirty years -- a bass player -- so I have a lot of experience working in studios and with ProTools and other audio applications. I also moonlight as a published fiction writer, so the two feel like a nice fit for podcast production, especially when it comes to a serialized mystery show for kids. At the age of 39 (I’m 46 now), I went back to school and got my MFA [Master of Fine Arts] in creative writing, my minor while in school was screenwriting. Myself and David Kreizman (one of the other Mars Patel producers and head writer of the show) have also worked together developing a few spec TV pilots, so it all kind of comes together when we're working on The Unexplainable Disappearance of Mars Patel. 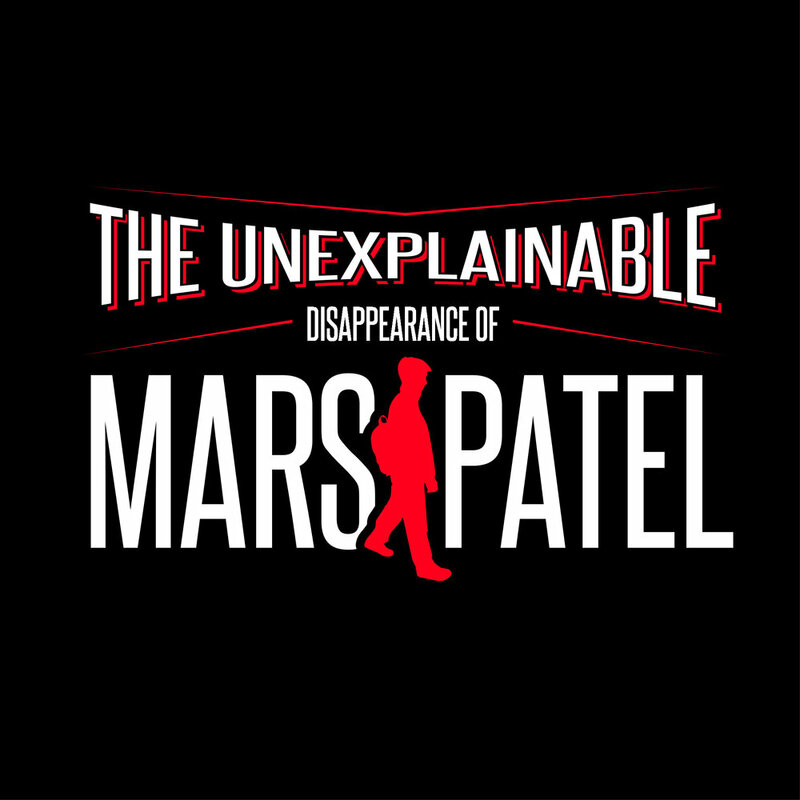 What was the genesis of the idea for The Unexplainable Disappearance of Mars Patel? From there we recruited David, who’s an Emmy Award-winning writer and show runner, and Jenny, who has a ton of experience directing and working with actors. Ben is a children’s book author and an entertainment lawyer. I do all the sound design, editing, and mixing of the show. The music is all original -- some of it I write, most of the other spots come from a long-time collaborator of mine named Shawn Pierce who is a film and TV composer on shows like The Dead Zone, Motive, HBO’s The Bridge, and many others. David, Jenny, Ben, and I all live in this unique little New Jersey town called Maplewood. It’s about 30 minutes from New York and because of the proximity to the city the town has an incredibly high percentage of people who work in media, production, and entertainment. Its been dubbed Brooklyn West because it’s basically the town you move to when you have two kids and need to leave the city. In fact, if you listen closely to episode one, there’s a quick guest appearance from David Kestenbaum of Planet Money fame. His kids and my kids are in the same daycare class. It’s that kind of town. We knew pretty early on that we wanted Mars to be the kind of show that deals with the reality of middle school. That kids could listen, hear real kids their own age dealing with things they deal with everyday. The show has a lot of sic-fi elements (with plenty more to come! ), but we also don’t shy away from the realities of being a kid in school. The first episode opens with a Code Red, basically an active shooter situation, which kids deal with in drills everyday and is very much a part of their reality. So in that way, we try and take those things head on, and maybe that makes the show a little different, a little scary in parts, but we did that on purpose in an effort to not talk down to the listeners. In YA books they say that kids don’t read down. We applied the same principle to this show. We think kids want to listen above their age, so we challenge them to do so. How long did it take you to put together the show (scripts, finding talent, producing it)? The show has been in development for over a year. We came up with the story by basically sitting in a room together and pitching ideas. It was a very organic experience, a lot of brainstorming on whiteboards, and through that process came the characters and basic story outline. From there we broke up into two writing teams and took on scripting the first few episodes. Now that we’re a little further along, and our roles have settled in, we run it very much like a TV writers room, each of us developing an episode and running everything through David as head writer. Finding talent was a huge process. We went back and forth for a long time on whether or not we should have adult actors playing kids, or teenagers playing kids, or kids playing kids. Eventually we decided to go with kids playing kids because there was nothing out there like that that we knew of. This posed a few problems we hadn’t expected, the main one being that an eleven-year-old boy sounds exactly like an eight-year-old girl right up until the moment he doesn’t. We spent a long time trying to find kids who had original sounding voices. Jaiya Chetram, the actor who plays Mars, was literally the last person we heard. We had the whole cast set but still needed a Mars, and not only a Mars, but a kid who was a good enough actor (with an original voice) who could carry the whole show. It was stressful, but in the end Jaiya was a huge stroke of luck. Every season is ten episodes, with a few short dispatch episodes thrown in from our fictional podcast sponsor (and nefarious tech billionaire bad guy of the show, Oliver Pruitt). We have the general shape of things up through season 3, so it’s a nice long burn. What were the audio and story inspirations for you (and the team)? With a show that’s been in development for as long as ours, there’s been a few things come out while we’ve been putting everything together that seem to take their influences from similar places, the biggest of those being the Netflix show Stranger Things. That show is set in a different time period, but has a similar feel in that kids disappear and the gang gets together to solve the mystery. Our show ultimately has a very different feel and direction (and is obviously not a TV show), but they have similar conceits. We were initially a little bummed when Stranger Things came out, but when it became a huge hit, there was a kind of excitement in the possibility of being the Stranger Things of podcasts. On a more influential level, there’s definitely hints of Goonies, X-Files, and X-men, shows all four of us grew up on. We really strive to be a TV show for the ears, so a lot of our influences come from the world of TV. What was the most fun you had in its production? It’s really great to hear the show come together. There’s so many little steps involved; breaking the story, writing the scripts, recording the kids, editing, adding music and the sound design. I think one of my personal favorite moments was when we were in the studio recording episode 1 and 2 with our amazing kid actors. We were in between takes, the four of us producers discussing something about the show in the control room, and the live room microphones were still active. We heard the kids discussing what they thought was going to happen later in the season, and they were so excited, like giddy excited, and that’s when I knew we had something pretty special. How are you financing this first season? How do you hope to finance future seasons? We have some local investment in the podcast, some basic startup capital but we're in talks with a few places about sponsorship of this and future shows. The general feeling with kids shows (we think) is that parents don't want their kids being advertised to, so we decided pretty early on to make the antagonist of the show a fictional sponsor of the podcast. That plays out in some really interesting ways throughout season 1 and beyond. It's a nice way to subvert the traditional idea of a narrator who needs to exist outside a show to guide the listeners and bring them up to date at the top of every episode. It feels like a unique approach. Plus when you have a fictional tech billionaire sponsoring your show, who needs real money?! What is Blobfish Radio and do you have more productions in the works? Blobfish Radio is the production company we put together to produce scripted podcasts for kids. We have a few other shows in development; a show called The Ghost of Jessica Majors, and another called The Voice of Reason. But for now we’re focusing on getting Mars Patel out into the world. What do you hope Mars Patel accomplishes? Kids podcast programming is like the wild west wrapped in a show about the wild west; in other words, no one is quite sure how kids find and consume podcasts. This is an extra level of ambiguity than the already ambiguous world of podcasting. So, ultimately, I hope the show finds and connects with its intended audience. We’ve put so much work into it and we’ve been trying to build things into the show that might help facilitate those connections. There’s an accompanying fictional website that’s run by our main bad guy Oliver Pruitt, it’s the site where the show is ultimately broadcast (posted) from, and it has special functions that allow kids to interact with the show in different ways. If those are popular we’ll build in more crossover. In the end I just hope kids (and even adults) enjoy what we’ve done. Posted in Interviews, Podcasts and tagged with Chris Tarry, Podcasts, podcasts for kids, Blobfish Radio, Unexplainable Disappearance of Mars Patel, science fiction. October 3, 2016 by Stefan Shepherd.